A paddle is shown to the spectator with one gem on the top of the paddle on each side. 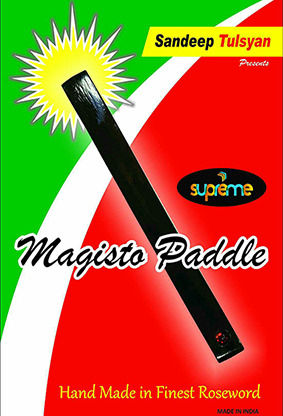 With one magical move the gems on both sides jump to the bottom of the paddle and back to the top. Finally, the gems jump to the middle of the paddle then again jump back to the top. MAGIC!